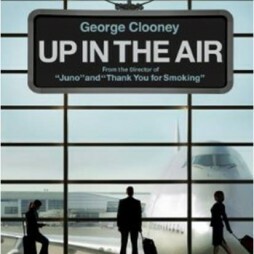 Ryan Bingham (George Clooney) is a suave but haunted jetsetter bent on reaching ten million air miles as he goes from city to city laying off the workforce on behalf of cowardly bosses. His life is just how he wants it – no emotional ties and plenty of material perks – until he falls for Alex and is saddled with work-partner Natalie. It’s a consumerist fable set against bleak corporate downsizing with Clooney a ‘career transition counsellor’ who is thriving in the chaos of recession. Topical, eh? Heavy? This is a film saying something important about its times. But in the hands of director Jason Reitman’s (Juno, Thank You for Smoking) hands, it is smart, silky, sensitive, funny old school movie magic – an emphatic statement that Hollywood can still make excellent movies.